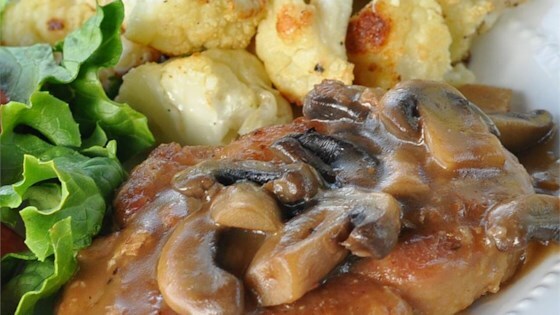 "Herbed and garlic pork with a sweet Marsala wine--easy to make!" Stir in wine, scraping the skillet to loosen any brown bits. Cover and simmer over medium heat until pork is tender and sauce is thickened, about 15 minutes. If sauce is too thick, adjust by stirring in a small amount of wine. Sensational and simple marinade that compliments the tenderloin well! We didn't like this at all. The flavor of the Marsala was overpowering. Net time, i might add 1/2 cup of the wine to 1 cup of gravy. Very good! The pork chops were so tender you didn't even need a knife! I finally found a good pork chop recipe! Thank you! !